die Knopfleiste ist rot abgesetzt. 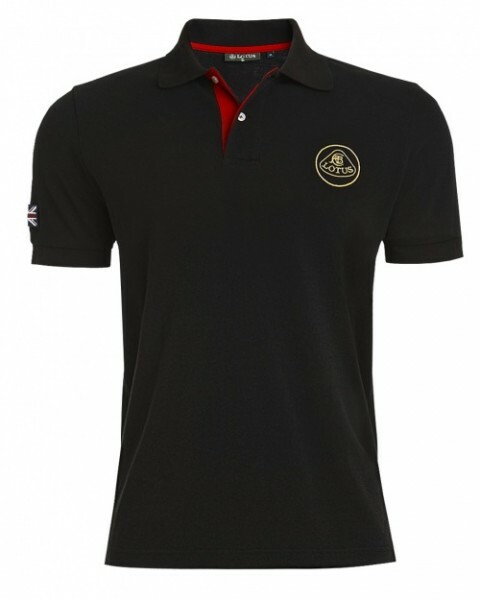 Original lotus polo t-shirt in black with an embroidered unionjack on the left arm and the lotus logo on the chest. There is a lotus printing on the back like as at the lotus motorsport t-shirt. Weiterführende Links zu "Lotus Motorsport Polo"